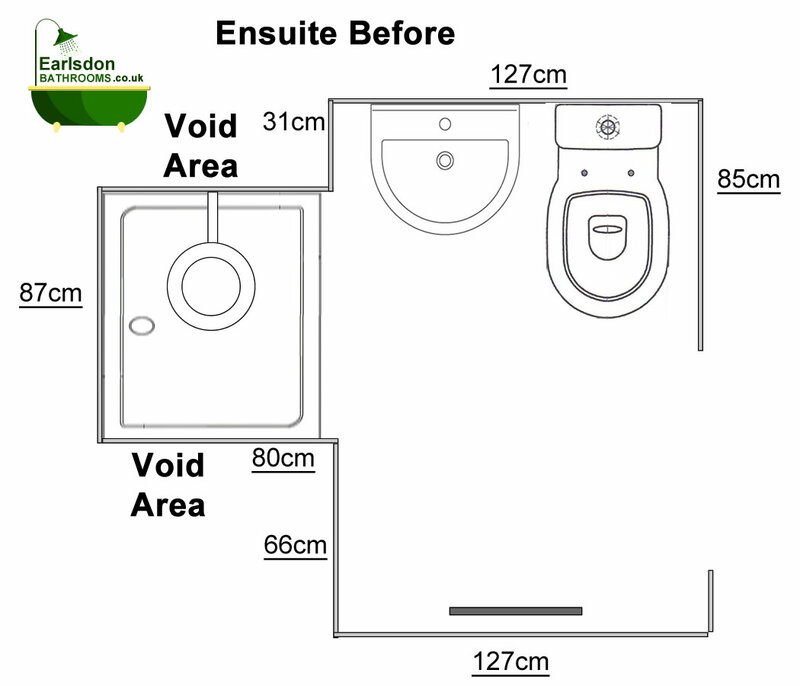 We were invited to upgrade and improve the ensuite. 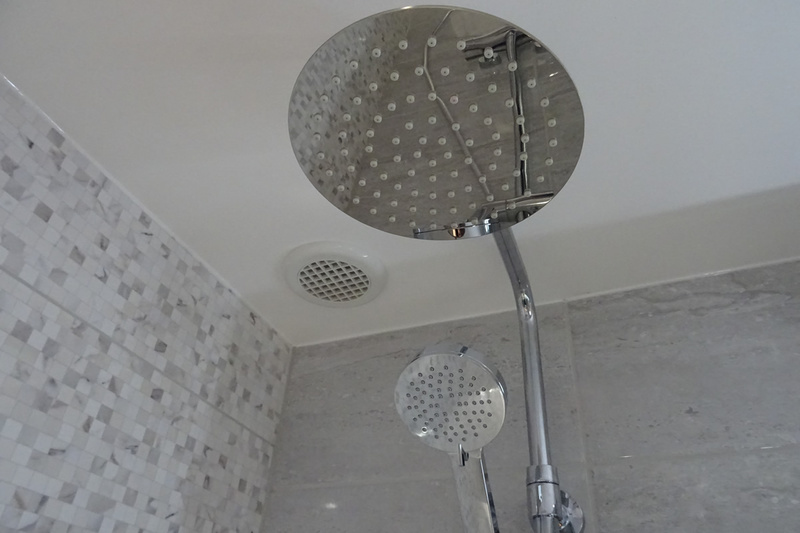 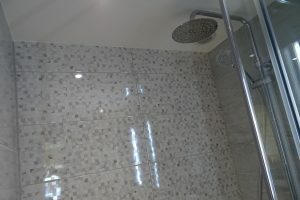 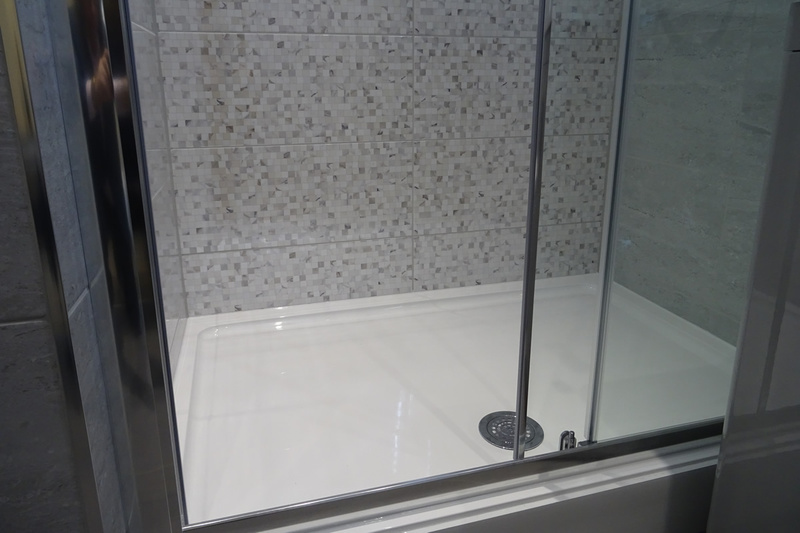 The shower area originally had two closed off areas at either end reducing the size of the shower tray to 87cm (90cm shower tray). 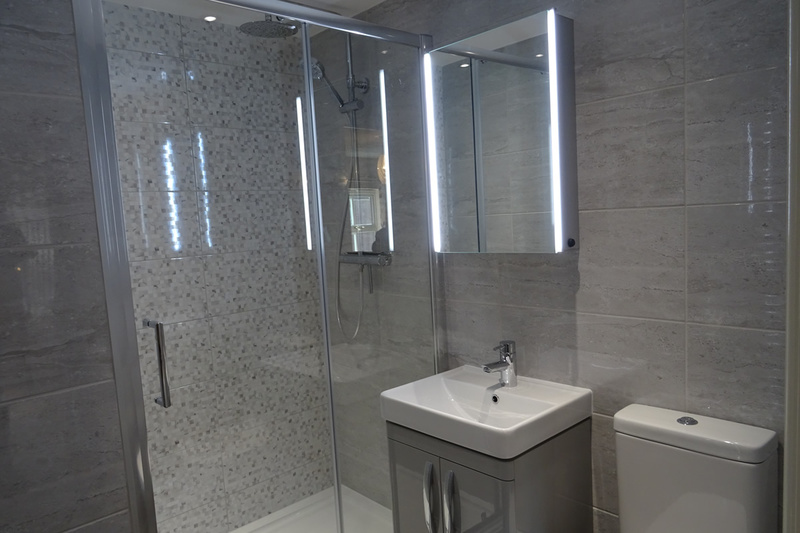 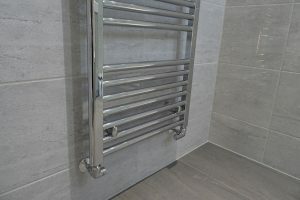 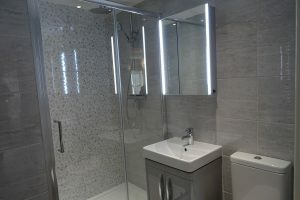 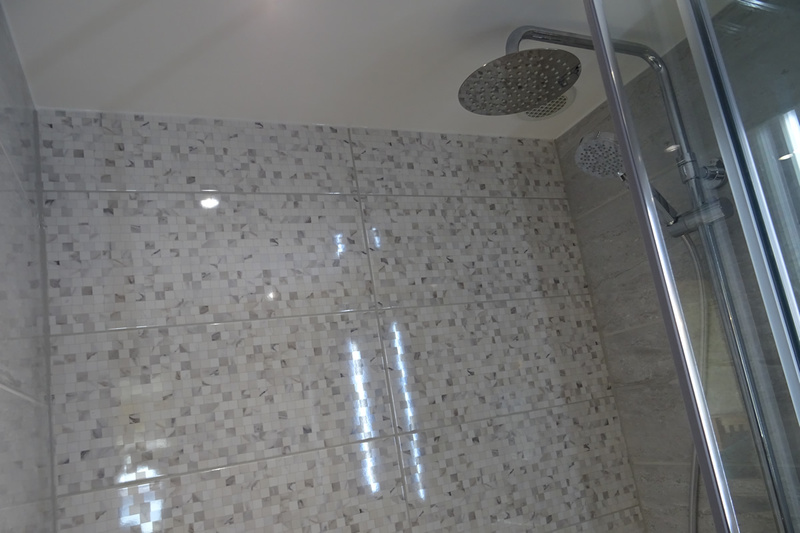 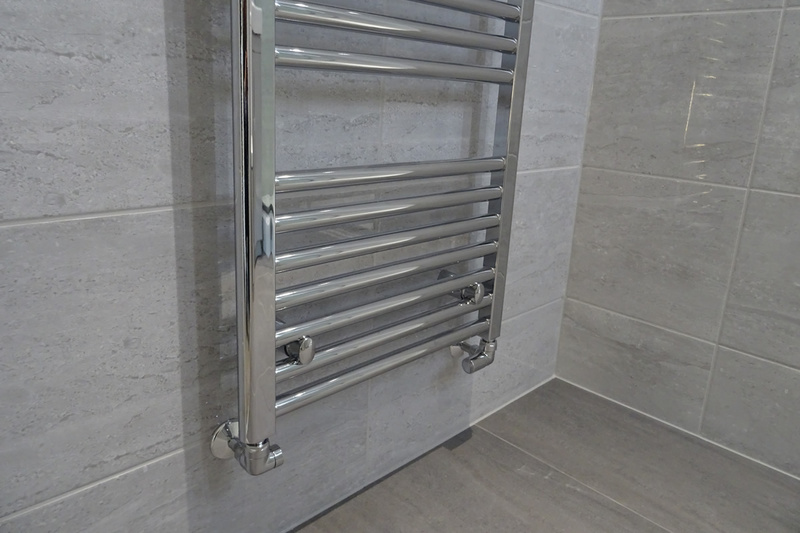 We were very confident that it would be possible to increase the size of the shower area by opening up the two wall areas and using any void not being used. 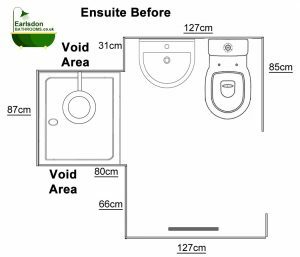 To the home owners delight on inspection it was found that the shower could be increased from 87cm (90cm tray) to 120cm wide shower tray. 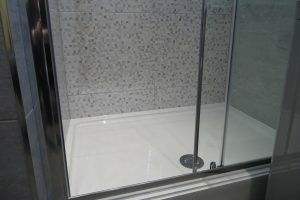 It was possible to create a larger shower area without taking any space from the room, but freeing up hidden space. 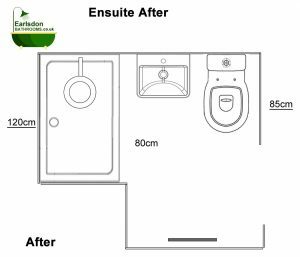 The two images below show the original ensuite design and the new design and layout based on the space we were able to create. 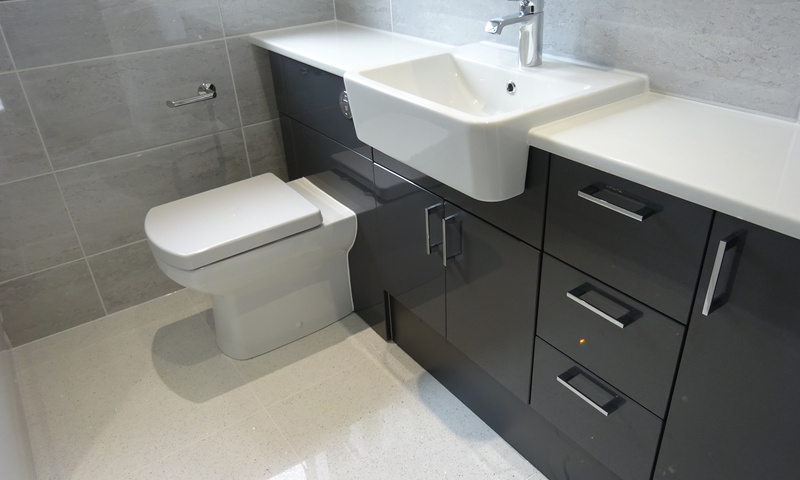 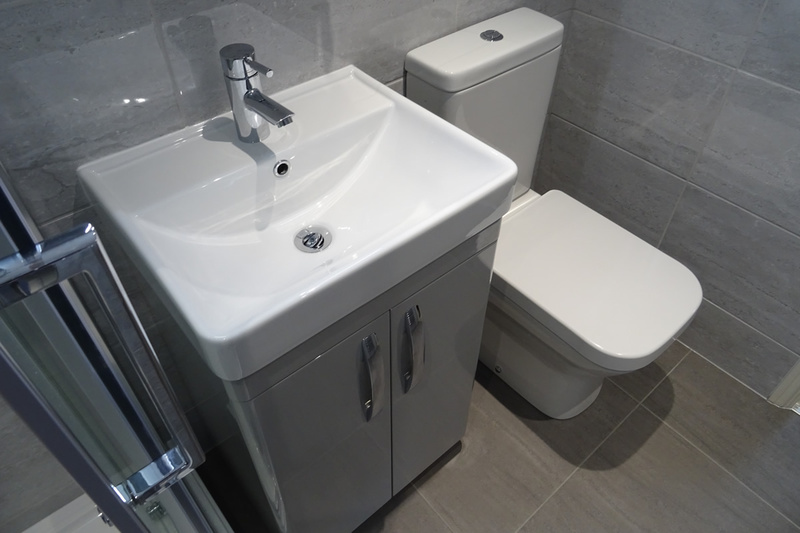 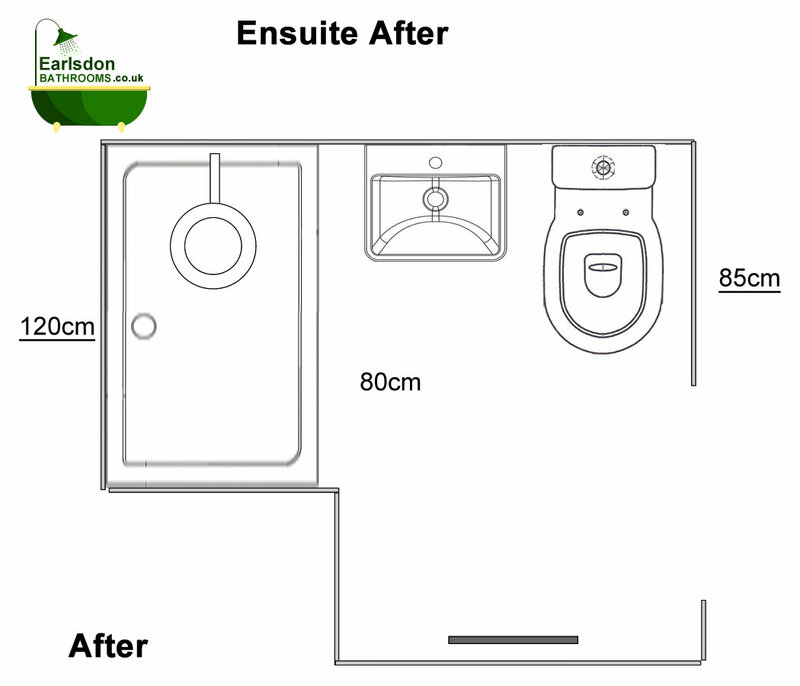 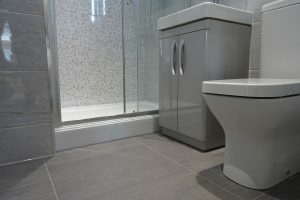 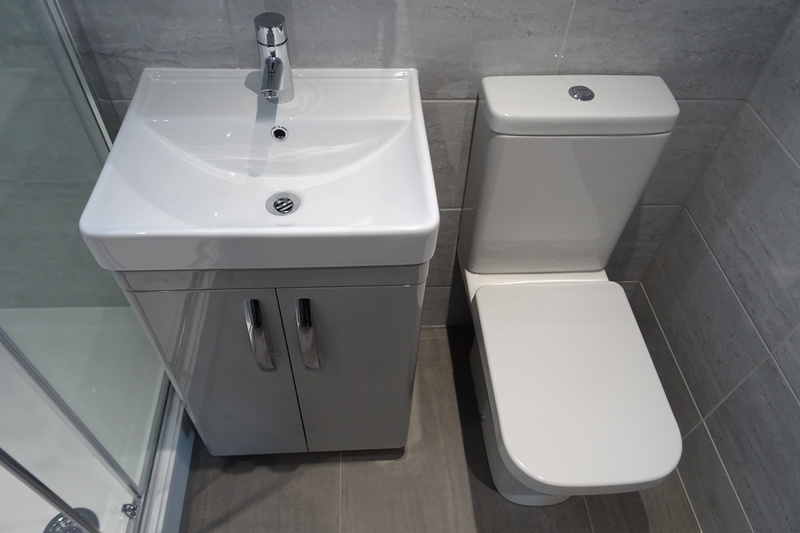 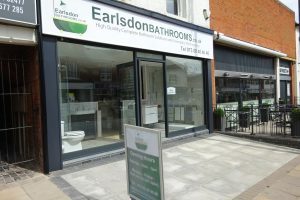 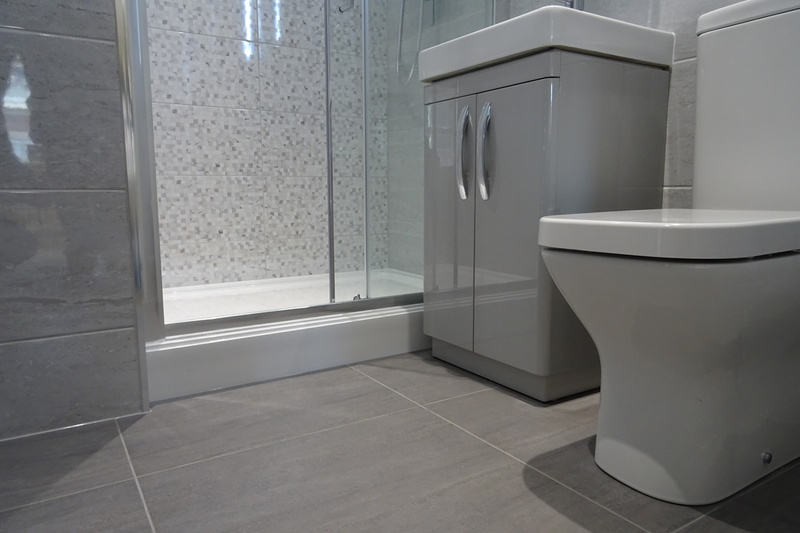 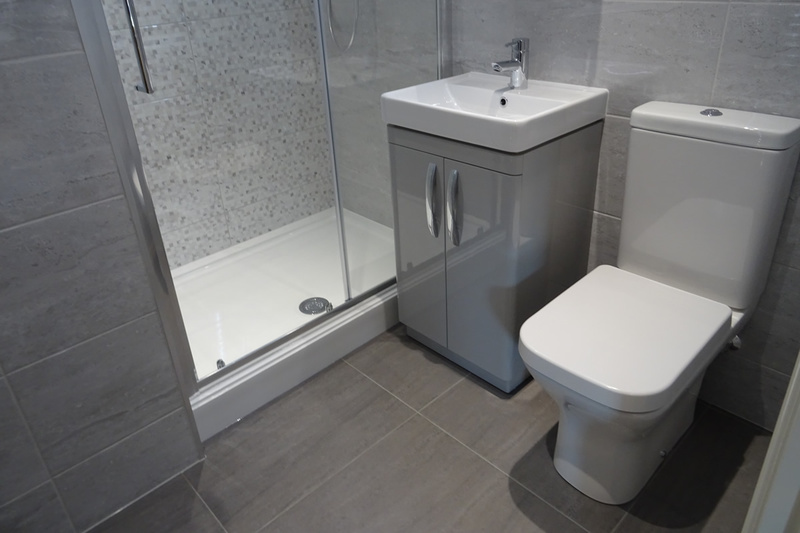 The images below show the final ensuite after the work had been carried out.